It's December 24th, and a kindly old man says good night to all the animals in the barn. As he settles into bed, he wonders when it's ever going to snow. He dreams that a snowstorm comes and covers him in a snowy blanket while he sleeps. Then he dreams that a snow blanket covers each of the animals in the barn, one by one. As we read, we lift snowy-white acetate pages for each animal to discover which one is behind them. When the man awakens, he finds that the animals have not been buried by the snow, but that it has snowed quite a bit. Finally he remembers something... He goes back outside, puts some gifts underneath the tree for his animals, and presses a button that activates a snowy melody. In true Eric Carle fashion, the button is a real button that the reader presses in order to activate the melody. Eric Carle is acclaimed and beloved as the creator of brilliantly illustrated and innovatively designed picture books for very young children. His best-known work, The Very Hungry Caterpillar , has eaten its way into the hearts of literally millions of children all over the world and has been translated into more than 25 languages and sold over twelve million copies. Since the Caterpillar was published in 1969, Eric Carle has illustrated more than sixty books, many best sellers, most of which he also wrote. Eric Carle's art is distinctive and instantly recognizable. His art work is created in collage technique, using hand-painted papers, which he cuts and layers to form bright and cheerful images. Many of his books have an added dimension - die-cut pages, twinkling lights as in The Very Lonely Firefly, even the lifelike sound of a cricket's song as in The Very Quiet Cricket, - giving them a playful quality: a toy that can be read, a book that can be touched. Children also enjoy working in collage and many send him pictures they have made themselves, inspired by his illustrations. He receives hundreds of letters each week from his young admirers. The secret of Eric Carle's books' appeal lies in his intuitive understanding of and respect for children, who sense in him instinctively someone who shares their most cherished thoughts and emotions. 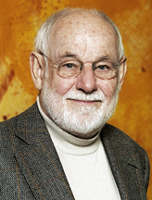 Eric Carle has two grown-up children, a son and a daughter. With his wife Barbara, he lives in Northampton, Massachusetts.